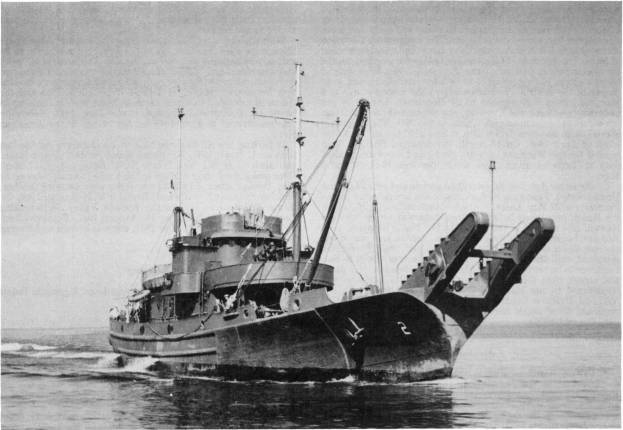 ↑Ash (YN-2) underway circa 1941, in Measure 1 camouflage-dark gray with light gray mast tops. Note the specially designed lifting "horns" forward, as well as the heavy boom at the foremast. YN-58 Everett Pacific Shipbuilding & Dry Dock Co.
YN-60 Everett Pacific Shipbuilding & Dry Dock Co.
YN-61 Everett Pacific Shipbuilding & Dry Dock Co.
YN-62 Everett Pacific Shipbuilding & Dry Dock Co.
YN-63 Everett Pacific Shipbuilding & Dry Dock Co.
YN-64 Everett Pacific Shipbuilding & Dry Dock Co.
YN-65 Everett Pacific Shipbuilding & Dry Dock Co.
YN-66 Everett Pacific Shipbuilding & Dry Dock Co.